Bridget Mbeng Mbu is currently the largest producer of mushrooms in Cameroon and Central Africa, and has ambitious plans to expand the study of mycology to women and their families at the grass roots level, not only in her native Cameroon, but throughout the continent. Mbeng’s passion is palpable as she describes her dreams and vision for Africa; growing up as the only child of a cocoa farmer, the award winning Cameroonian-American has always fascinated by agriculture and altruism. Mbeng is currently based in Newark, Delaware, but home is never too far away from her reach thanks to an epiphany she received several years ago, which she claims changed her life forever. With her background as a cocoa farmer, she did not expect an opportunity to live and work in the United States. What she had, which was perhaps even more valuable, were her drive and welcoming nature – the combination of both was her winning ticket to the land of the free, and within a short period of time, she was on her way to the United States. After overcoming what she describes as an “overwhelming and glaring culture shock”, she finally settled in and became engrossed in the daily grind, working two jobs as a Licensed Practical Nurse (LPN). However, true to her values and altruistic roots, the one thing she never did was forget the people she knew back home. Coming from the grassroots level and intimately knowing and understanding the struggles that people from her background faced, she started to send some of her earnings back home so she could help her family and friends out. While this was initially her go-to plan, she realized very quickly that it was not going to be a sustainable way to support the people she cared for. She introduced people to craft projects and developed a preliminary model where she would have individuals back in Cameroon create crafts, export their finished products to the United States and subsequently receive any return on sales profit. The only problem with this was that she found it incredibly difficult to motivate anyone to make crafts on an empty stomach. And so with that, she started to contemplate ‘Plan B’. It was during an early morning drive back home from a late night shift that the perfect opportunity presented itself. The bold and daring lady that she is, she parked her car off the road this particular morning and walked over to a nearby farm where she was introduced to the Latino farm workers who were working on what she found out to be mushroom farms. “Pennsylvania is the headquarters of mushrooms in the world. It is a business they have involved in for hundreds of years. I followed the smoke that I saw every morning, and was told that I was looking at the steam that comes out of the mushroom house chimneys. Since that day, my life has never been the same.” One thing led to the other and she started working on how she could take the concept of mushroom cultivation to Cameroon. 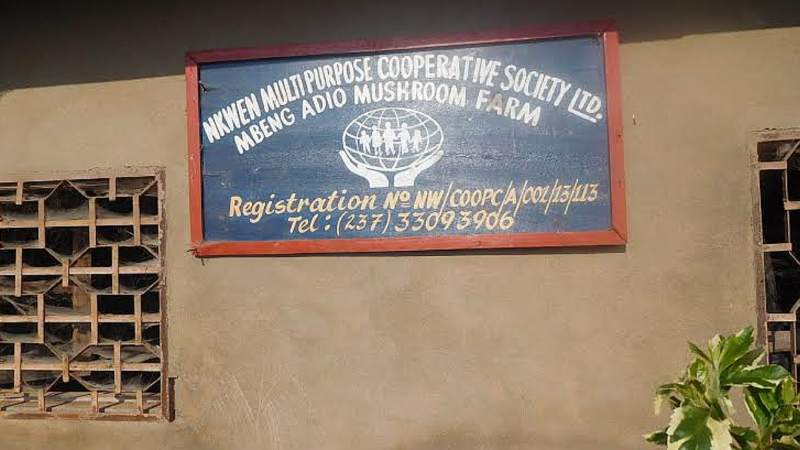 Her organization, called Mbeng Adio Mushroom Farms, trains and invests in local Cameroonian farmers through agri-business cooperatives. A large part of the company’s purpose is to break the chain of poverty through the provision of sustainable income, while capitalizing on profitability and market share. The very core of the organization focuses on empowering women and creating opportunities for them to participate in the local economy.“Empowering women from the bottom up is extremely important to me; I want this opportunity to show that it doesn’t matter where you come from, you can still dream, and if you follow your dream and work hard, your desires will come to pass,” she emphasizes. The process of introducing mushroom cultivation came with its own set of challenges and was initially a hard sell. For one, growing mushrooms was just not something people did. It was also difficult for people to understand that the organization was in ‘start-up’ mode, and there wasn’t a ton of funds available to get things started, which is what they were expecting from a non-government organization. Inspite of the challenges, there are many benefits to mushroom cultivation she was able to introduce – the big one of course, was what it meant for women in her community. According to Mbeng, the opportunity was especially important for nomadic populations who were often transient and didn’t own any land. She has been able to train Fulani women to grow mushrooms and sell them to provide an income stream for themselves and to take care of their families. Once harvested, a cooperative which she set up, dried and sold the mushrooms which also prevented the women who were often mothers and homemakers from going to the market and sitting under the sun for hours on end. She sees her work through the organization as an attempt to build a sustainable form of income generation; and the short and long term benefits are numerous. “The population is primarily deficient in protein,” she says. “Because construction has reduced the grazing land, beef as a source of protein is very expensive. At the grassroots level, farms that grow rice often transmit fertilizer to the rivers which kills the fish, so mushrooms serve as an alternative and plant based source of protein — its healing properties are worth every bite.” It is also very affordable, and according to her, one can earn up to $40 a week in mushroom sales, which is a lot of money considering that some people don’t even see this much in a year. “They are now able to afford many things like school tuition and clothes for their children. They are able to go to the hospital when they fall sick. 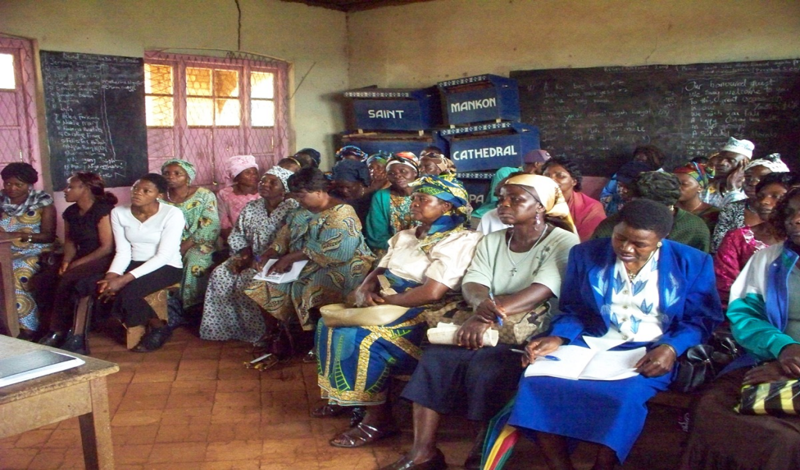 Now I have given them a lot of opportunities — economic empowerment, education and income generation,” she says. Olusheyi Lawoyin is the Founder & Creative Director of The Voix.